Ensuring the Deliverability of your GroupMail Newsletters to your Recipients Inbox is paramount. After spending precious time creating your Email Newsletter with Images and Content, last thing you need is for all your hard work to end up in the recipients Spam Folder !. 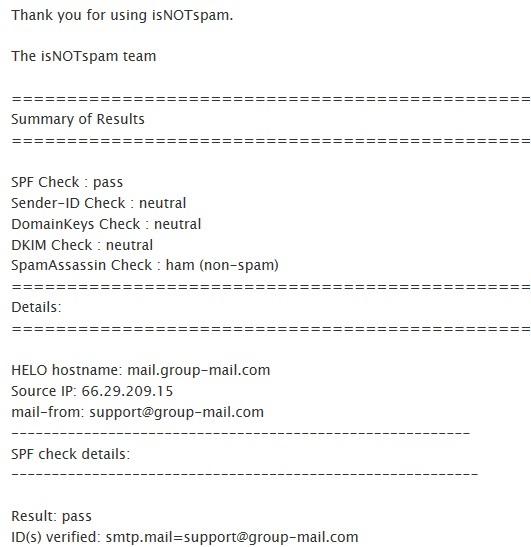 GroupMail has teamed up with ItsNotSpam so that you can now test your email newsletter content prior to sending for anything that is likely to trigger spam filters. 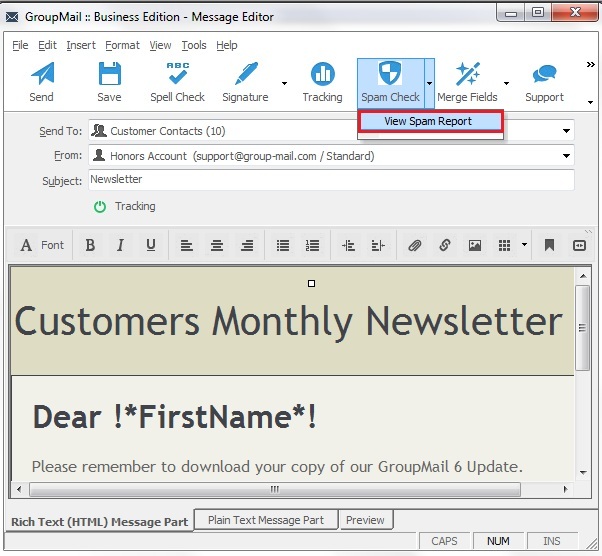 Below we are going to show you how you can easily check your GroupMail Email Message for Spam Content. 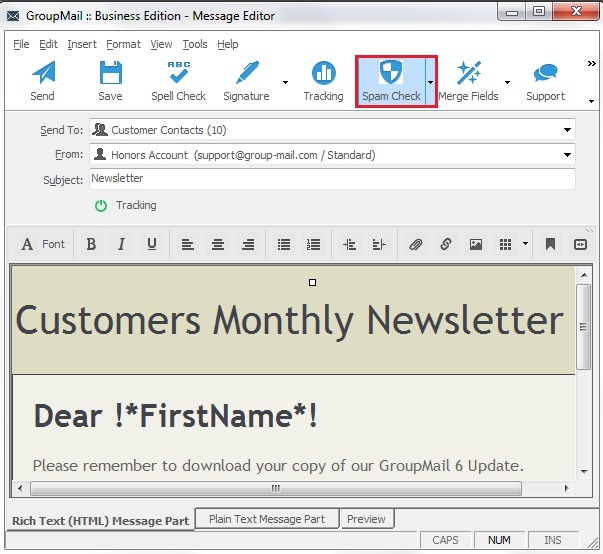 Once you have created your GroupMail Message in the GroupMail Message Editor, just before you are ready to send it. Click on the� Spam Check� Icon. Once you do this GroupMail Sends your message to ItsNotSpam for Checking. Spam Filters recognize Spam messages by analyzing message content for spam characteristics. 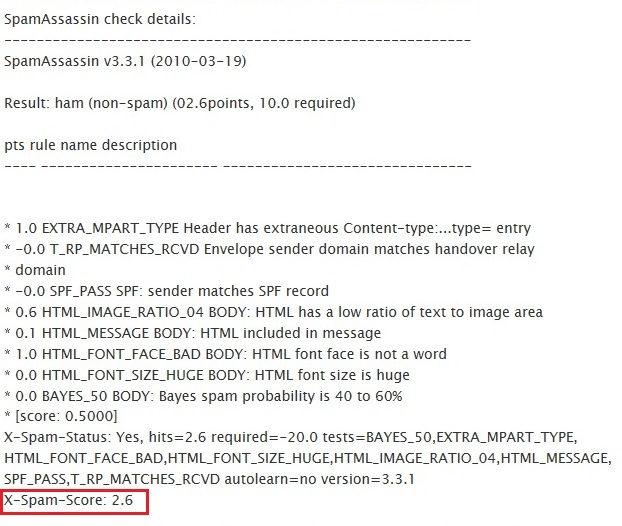 It checks a number of things such as SPF, Sender-ID, Domain Keys and also most importantly runs a SpamAssassin Check. On the Message Editor,� Spam Check� Icon. Click on “View Spam Report” link. Note : This may take a couple of moments. If your report is not there, simply check again. Further down the report you will notice a section for SpamAssassin. To avoid your Message getting Filtered as Spam, its important that we keep the Spam Score nice and low and under a score of 5.0 if possible, you’ll find some good tips here on how to do this. Overtime as you run more and more Spam Checks, the List of Spam Reports will grow. You can Delete any of these by Clicking on “X” under the Delete heading.